Words linger…In the darkness of shadows, in the distant screams. They whisper past the drip, drip of blood. The strange beauty of words hide, waiting for you. Venture past safe reality, into the world of terror told in verse. Horror Haiku and Other Poems brings forth surreal dread and spins it in artistic countenance. From small chilling bites of poetry, to murky morsels of fright, come find where the words haunt you, where they live and die. By your own admission, you are drawn to geeky things and the immense beauty behind the terrible. Tell us how you reconcile camp with high gothic, or do you keep them separate? I think geek and gothic are two intrinsic sides of speculative fiction, i.e. the horror, fantasy, and sci-fi genres, but tend to be at opposite ends of the spectrum. 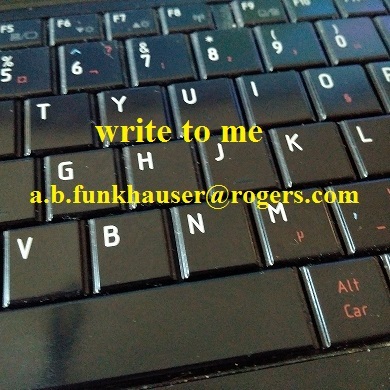 When adding a lighter touch or levity I generally shy away from writing camp, (although I have been known for using a few bad puns), and lean more towards satire and gallows humour. I’m more comfortable with the gothic end as I often use historical settings, but tend to be more macabre and less theatrical. I like to take the normal and twist it into the abnormal. As an east coaster, you have the sea for a neighbor. What is that like, and how do you tame this force when it grows inhospitable? I love the sea. There’s a certain majesty and wildness to it, some of that terrible beauty that you mentioned. It’s vast and picturesque, and ferocious as well. You don’t ever tame the sea. You batten down the hatches and ride out any storm. It’s funny though, until my current WIP, Ghosts of the Sea Moon, I’ve never written a seafaring story, just a few sea themed poems. Tell us about what went into your upcoming book of poetry HORROR HAIKU AND OTHER POEMS. Did it come together over many years, or did it spark with a single inciting incident? Much of my poetry is based in the same genres as my prose: horror, fantasy and science fiction. I’m not one for sweet romantic verse. This particular book was inspired by #HorrorHaikuesday ( a weekly Twitter hashtag event run by @horror_made), where you write a horror based poem in the haiku style. I loved the idea (I’m a big fan of haiku) and after a few months I had quite the collection. So I compiled all my efforts into this book, added a few of my longer poems and some photos, and voila, a poetry book is born. Compare and contrast your painting with your writing. Can you share some photos of your painted work and explain what each means? I strive to be a professional in my writing, but I’m strictly an amateur painter, (although my skills as a graphic designer are improving), and I’m not sure your readers want to be subjected to my poor attempts at landscapes. I have included two of my computer generator paintings that I used as backgrounds for my poems. The first is an orchid done in watercolor style in an homage to Asian calligraphy art, and the second is an abstract piece set to a poem inspired by the TV show Hannibal. In addition to your poetry, you have several novels available on Amazon. Can you share some of the common themes running through each? For you, are these themes more pet peeve or sacred cow? My favourite theme is “consequences” and I think that is a natural by-product of the genres I write in more than a pet peeve or a sacred cow. I enjoy sticking my characters in sticky situations of their own design (or on occasion, other people’s design) and letting bad things happen to them. Very bad things. Only to be sure to check out HORROR HAIKU AND OTHER POEMS when it releases on October 11th. It’s debut will be part of my participation in the October Frights Blog Hop that runs from October 10th until the 15th. The hop is a delightfully dark gathering of horror and paranormal authors celebrating all things strange and morbid, and I’ll be running spooky posts on my blog all that week. A. F. Stewart was born and raised in Nova Scotia, Canada and still calls it home. She favours the dark and deadly when writing—her genres of choice being dark fantasy and horror—but she has ventured into the light on occasion. She is fond of good books, action movies, sword collecting, geeky things, comic books, and oil painting as a hobby. Thank you A. F. Stewart for sharing your work and thoughts. This concludes our month of authors. A heart-felt thanks to those who participated. Look for more titles and interviews in November. UP NEXT: The A.B. goes under in preparation for a new book tour and giveaway beginning October 17th with Roxanne Rhoades and Bewitching Book Tours.